CAREWARE-ERP: When is a Project based Solutions is a better choice for you than generic ERP? When is a Project based Solutions is a better choice for you than generic ERP? Project-based companies have their own distinct needs and requirements, and most generic ERP struggles to meet the requirements of a project base firm. They are not designed to capture cost in project based environment like engineering procure fabrication, engineering services or construction company. Project accountant needs to be able to the see nature of expenses, resources and time and materials cost to complete the project, variation- orders and sub-contractor cost for the project and Job-in-progress, billing and many more. 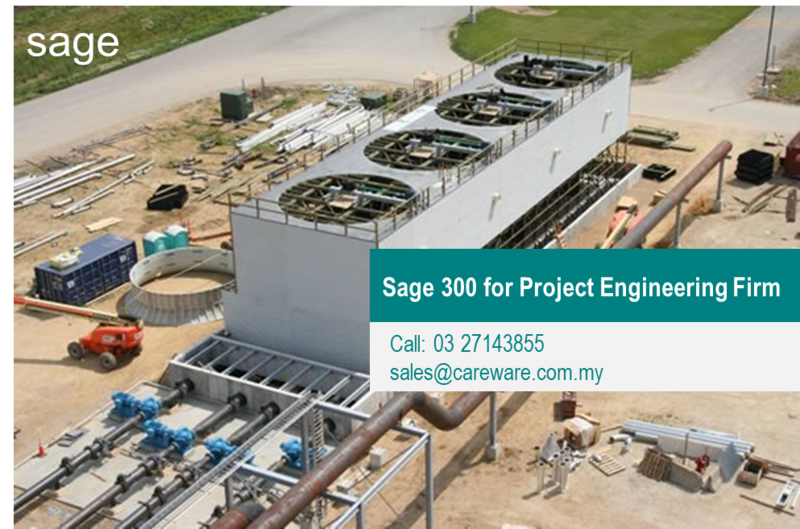 Sage 300-ERP Project and Job Costing has all the tools and features you need to make sure every job is profitable and efficient. CareWare with its years of experience in the engineering domain will help you implement a cost effective solution. For more than 25 years, CareWare Systems has implemented easy-to-use, scalable, and customizable software for the specialized needs of accounting practices, construction and the engineering industries. And these days, most companies do face change and their legacy or generic ERP systems strain to keep up. Is Sage 300 Project based Solutions a better choice for you than traditional ERP? Please check it out with us. We would like to help you implement a cost effective solution.